My name is Leanne and cooking isn’t a chore for me – I enjoy nothing more than creating wonderful dishes from scratch, so have decided to share my creations online. I like the challenge of creating healthy, economical dishes from what I have available in the garden, the pantry and the fridge and am adding recipes to the collection regularly … so please enjoy! 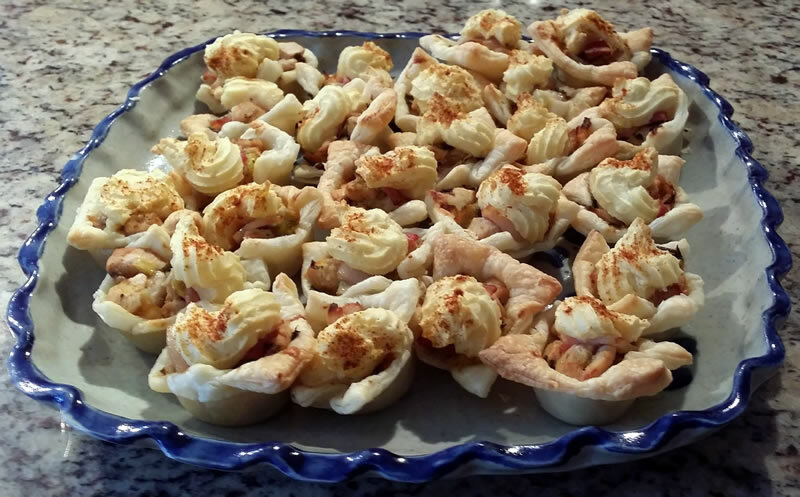 Just posted my 160th recipe ... Chicken & Leek Potato Top Pielets … easy and impressive party finger food as well as a pie which can be frozen for later … if you would like to be notified each time a new recipe is published, simply register at the bottom left-hand corner of the page. Is this the Leanne aka..Lady Lunch-a-lot? How do we get an invite to your legendary lunches? Well done Leanne! Everything looks so appetising and such colourful photography. Have you thought of having a tasting panel? Beaut recipes Leanne and they look a treat in the photographs too. I’ll be giving them a go in the very near future. Thanks for sharing. Love getting new recipes – keep them coming! Must try these toasties Leanne, a great light weekend snack. Look forward to more interesting and varied recipes.